…brought to you by the letter, ‘F’. 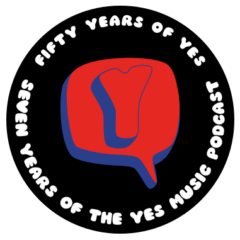 The sixty-first episode of the Yes Music Podcast featuring the letter, ‘F’. Two albums begin with ‘F’ and each one has a track which begins with ‘F’ – can you name all four items? How many other tracks can you think of beginning with ‘F’? What have I missed out in the whole history of the group which begins with ‘F? Final Eyes and Five Per Cent For Nothing will wait for the second round of the alphabet! Happy New Year! Blimey – how did I miss them? Thanks for pointing those out! As you say, I will indeed need to come around again! Next Next post: Episode 62 – Start as you mean to go on?